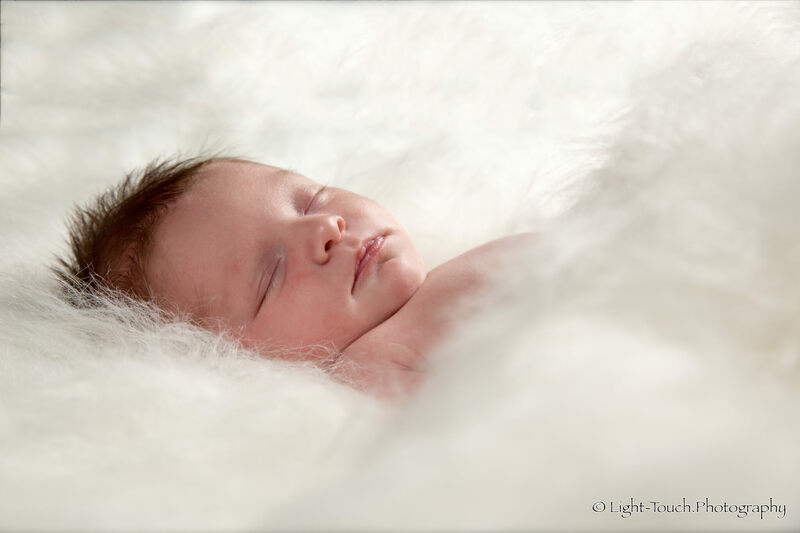 As part of our mission to bring you the full range of family and people photography services, Light Touch Photography is proud to announce that we now offer newborn and baby photography. We are constantly looking for ways in which we can improve our offering to clients, and baby photography is the latest addition to our services. We are still acquiring new props for this, including some beautiful fabrics against which to photography your beautiful baby. Of course, you are also welcome to provide anything of your own that you would like to use, from the Moses basket your child loves to sleep in, to the hand-knitted shawl or blanket, jacket or dress lovingly made by your mother, aunt, best friend or work colleague. We also suggest that the baby is photographed in as little clothing as possible, with modesty provided by careful positioning of limbs or draped fabric. According to the world’s top baby photographers, the very best time to photograph a new baby is within the first week to ten days, so we try to be flexible with booking dates, to accommodate the personal timescale of your precious child, who may not appear to everyone else’s schedule. We do ask, however, for early warning of your photoshoot, even if the exact date may need to be changed, when the time comes. Of course, we understand that you may wish to also have images of you and your partner with the baby, and perhaps a set with the whole family, or of the baby with his or her siblings(s). If you have the space (perhaps in a living room or bedroom, or even in the back garden if the weather is dry), we have the portable studio, and we are very happy to include others in the images. We look forward to making the acquaintance of the latest addition to your family, and to providing you with beautiful images that you will treasure, even when they have left home and started a family of their own.